Seeking cook to join the Cura Hospitality team at Jefferson Hospital . Flexible hours, no late nights, every other weekend off. Who this job will appeal to? Cura Hospitality is a regional company specializing in dining services for senior living communities and hospitals. We are seeking a qualified cook to assist our Kitchen team at Jefferson Hospital in Jefferson Hills Pa. We are looking for someone with basic food preparation experience that can prepare meals for our cafeteria, catering and patients here at the hospital. We require at least 1-2 years of previous cooking experience and knowledge of ability to scale and follow recipes. We prefer food safety certification however it is not a requirement for the job. Why you will enjoy this job? If you love to work in the kitchen but don't enjoy the late nights and crazy hours, this job will be perfect for you. Our shifts are mainly 10-6:30pm 5 days a week, with every other weekend off. Prepare all ingredients for cooking, including chopping, portioning and storing food, cook food according to provided recipes, function as a short order cook for certain menu items, follow compliance with food safety and handling, perform tasks and assignments within necessary time frame, and maintain a great sense of team work and keep the kitchen clean. Jefferson Hospital is dedicated to serving you at our Jefferson Hills campus. We are proud that nearly every room in our 341-bed award-winning hospital is private, affording patients improved comfort in an atmosphere conducive to healing. At our hospital, nearly 400 physicians provide our patients with their expertise in more than 40 specialties. We also offer Spiritual Care as well as comprehensive Behavioral Health Services for our patients. Our facility includes comprehensive inpatient and outpatient surgical services, as well as a Cardiovascular Institute, Cancer Institute, Orthopaedic Institute, Women and Infants Center, Women's Diagnostic Center, Sleep Disorders Center, Wound Care Center and Therapy Services. 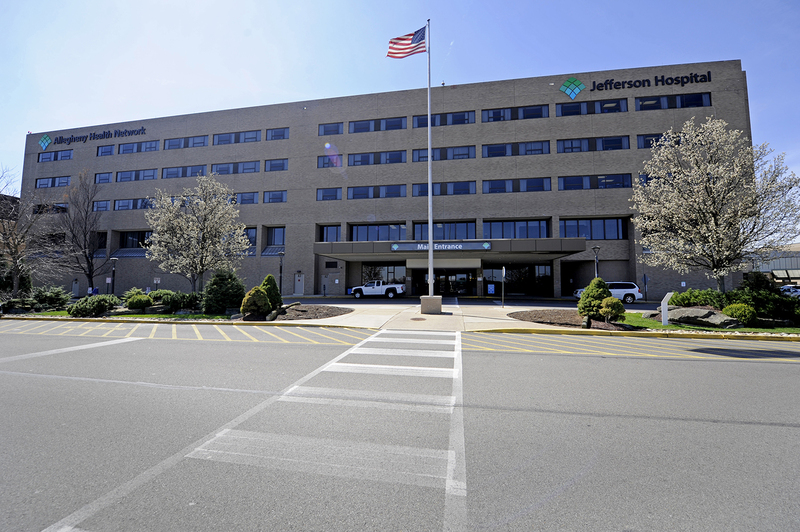 Jefferson Hospital was the first hospital in Pennsylvania to be designated by the American Heart Association as a Mission: Lifeline Heart Attack Receiving Center. More than 5,000 open-heart procedures and more than 21,000 cardiac catheterizations have been performed at our Heart Institute. Since it opened less than 10 years ago, The Heart Institute at Jefferson Hospital has received top national and professional awards that underscore its success with complex cardiac surgical procedures. You can be confident that Jefferson Hospital will be available if and when you need us. We will continue to work toward exceeding your expectations in everything we do.